Properly cultivated and cooked, Brussels sprouts are an autumn treat. These tiny cabbages grow on a stalk and mature in late fall. Brussels sprouts are a cool-season crop that belongs to the cabbage family. Brussels sprouts seeds germinate very slowly and unevenly in the garden. 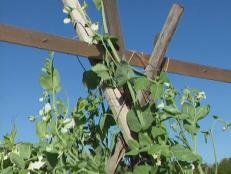 Many gardeners elect to grow the vegetable from transplants purchased at the garden center. 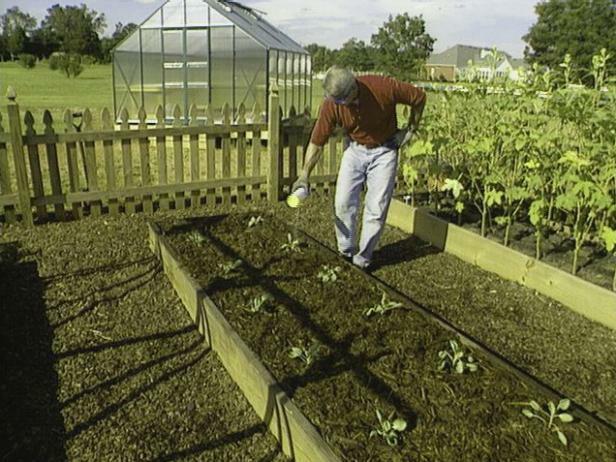 Brussels sprouts should be planted where they will receive at least 8 to 10 hours of full sun. 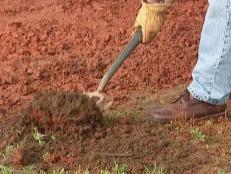 Use a garden fork to work some 10-10-10 fertilizer into the soil at least 12" deep. Mark the placement of the holes, which should be spaced 2' apart in all directions. Approximately 90 days before the first fall frost date, dig holes to the same depth the seedlings are growing in the plant container. 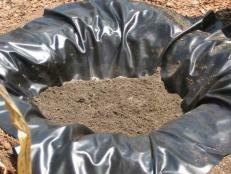 Move plants from their containers to the holes, gently pack soil around the seedlings and water well. Approximately 90 days before the first fall frost date, dig holes to the same depth the seedlings are growing in the plant container. 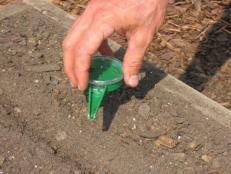 Carefully move plants from their containers to the holes, trying not to disturb the roots. 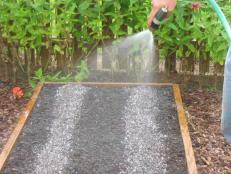 Gently pack soil around the seedlings and water well. Brussels sprouts develop where the leaves join the main stem. 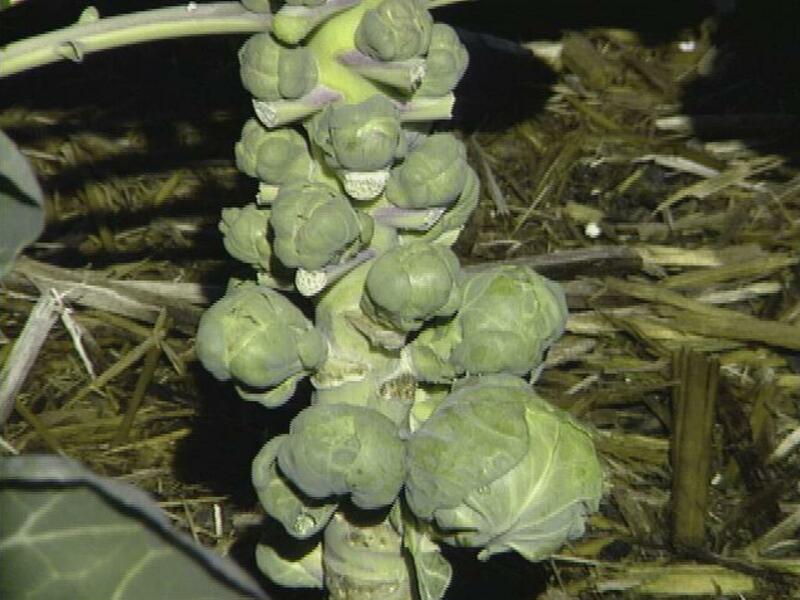 The sprouts mature from the bottom of the plant up. Place a generous layer of straw, compost or leaves around the plants to cool the soil, retain moisture and keep down weeds. Make sure the plants receive 1" of water per week. 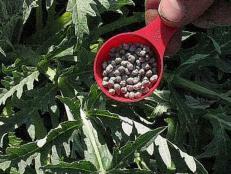 Side dress with a balanced fertilizer once a month throughout the growing season. Properly cultivated and cooked, Brussels sprouts are an autumn treat. These tiny cabbages grow on a stalk and mature in late fall. Sprouts should be picked from the stalk while they are still tight, firm and no more than 1 1/2 inch in diameter. The sprouts mature from the bottom of the plant up, starting in approximately 80 to 90 days. 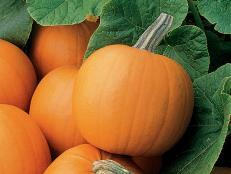 Sprouts should be picked from the stalk while they are still tight, firm and no more than 1 1/2" in diameter. To force the plant to stop producing new sprouts and focus on maturing existing ones, pinch out the growing point at the top. Brussels sprouts picked after a light frost taste sweeter than those picked before. 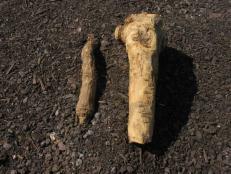 Horseradish is a hardy perennial beloved for its spicy flavored roots. Plant this once for a continual harvest for years to come. Radicchio is a gourmet green prized for its peppery bite. 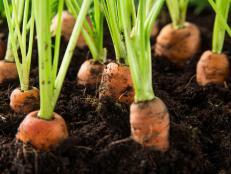 Plant a crop in early spring for an early summer treat. Edamame is a popular Japanese snack. Grow your own delicious and nutritious crop by following these simple directions. As the name suggests, watercress is a water-loving plant. Give it the proper site and you’ll enjoy this peppery perennial green for years to come. 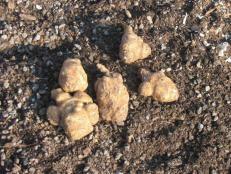 Parsnips are a delicious addition to any vegetable garden, but they take care and time to harvest. Curly endive is a gourmet salad green with a distinctive texture and sharp taste. 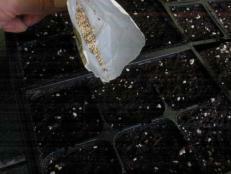 Start seeds indoors for a late-spring harvest. Bok choi is an Asian green prized for its tender leaves and crunchy stalks. It is easily grown from seed in spring or fall. Jerusalem artichokes are members of the sunflower family that are grown for their edible tubers, which taste similar to artichokes. 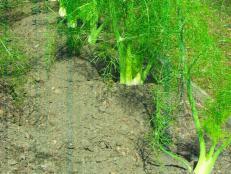 Florence fennel is grown not just for its feathery foliage, but also its bulblike stalk. Both have a pleasant licorice-like flavor. Artichokes may be a gourmet vegetable, but that doesn't make them impossible to grow. Given the right climate, the plants will produce for years.